A 10-minute walk from the Chatelain cafes and bars, this beautiful office space is located near the Bois de la Cambre and the Abbaye Gardens. The flexible office space is light and bright and provides a choice of private office space and co-working for up to 30 people. Your business will benefit from the centre's 24 hour access and security, allowing you to operate through the hours you want with peace of mind. The centre also have a fitness suite to enhance your overall well-being at your home away from home. Offering premium offices in the heart of Woluwe-Saint-Lambert, this business centre is ideal for professionals looking to take space under flexible terms and at affordable rates. Your membership allows you access to a range of meeting rooms and numerous services including printing facilities, reception services, high speed internet and kitchen access. Private parking spots are available at an extra fee, as well as catering options. These brand new, state-of-the-art offices are just 250m from the European Parliament, right in front of Metro Trône that takes you to the Brussels South station (TGV, Eurostar) in just 4 stops. Ideal for anyone looking for flexible workspace in the vibrant heart of the European District. Thanks to its situation, its beautiful interior garden and its private restaurant, this building is one of the top locations in Brussels. At this well-situated centre, you are provided with excellent facilities that will ensure versatile companies can thrive. This business centre offers both serviced and co-working solutions for optimum flexibility, with 24 hour accessibility and a friendly on-site admin team who can assist with any queries you may have, ensuring your operations run efficiently. There is an on-site cafe in the building but you can also grab a bite to eat from one of the food outlets that can be found within walking distance. In this modern and refreshing business space, you can develop and expand your business comfortably. The building is modern and environmentally friendly, with rooftop solar panels, rainwater collection systems and electric car charging points. The offices are fully furnished and well equipped, with everything you need to start working comfortably. High speed internet keeps you connected and allows you to stay productive. 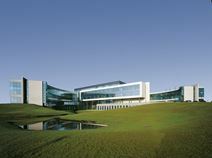 This business centre is home to a community of like-minded entrepeneurs. This coworking space will allow you to grow, surrounded by natural light and energise your creativity. 24/7 access allows you to work flrxible, with on-site parking available for your convenience. The centre has excellent public transport links, with buses running through the area frequently. The airport is a quick 8 minute drive away with plenty of local amenities. This business centre offers high profile offices on the prestigious Avenue Louise. It guarantees outstanding quality and includes a wide range of facilities such as a videoconferencing studio, an on-site lunch restaurant, secure underground parking and its own lounge. Apart from being close to the city's main transport network, Zaventem Airport is just 20 minutes’ by car and the City's main shopping districts are in walking distance. This landmark building offers a prestigious address for companies to work and do business. 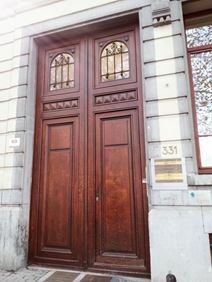 The office space is in the heart of Brussels on the corner of Avenue Louise and the Rue Defacqz. It can be easily reached by car and has good access to public transport links. Close to the Chatelain district, shops and Rue du Bailly. Surrounded by nice restaurants and only 5 minutes from the Eurostar and Thalys terminals by taxi. Perfectly located on the Avenue Louise these offices boast spectacular views over the city and provide customers with one of the most prestigious addresses in Brussels. This professional work environment provides you with high end offices; they are fully equipped and well furnished. Customers can make use of various facilities such as: meeting rooms, a business lounge, a caféteria and voice over internet telephone solutions. The Avenue Louise is an ideal location for businesses; the area is home to countless international companies and luxury retail businesses. he atmosphere at this centre is unparalleled, enhancing collaboration and inspiration. This centre provides a high quality business atmosphere, with light offices, parquet floors, and an excellent onsite staff to ensure our clients' needs are met quickly and professionally. With a roof terrace for meetings and breaks, and an excellent location close to shops and restaurants, this is a premium setting for your base in Brussels. Situated on the prestigious Avenue Louise, this modern and high-quality office building provides great business accommodation surrounded by a number of the city"s landmarks. The centre offers 24-hour security and access, great modern facilities such as their fitness centres and conference rooms. Situated in the Brussels capital, this centre is in an idyllic location and allows for your business to stay globally connected at all times. Within a short walk of Central Station and Metro Louise, this area of Brussels is home to some of the city"s trendiest restaurants and boutiques. There are a variety of private and flexible office solutions available, all designed to assist the development of your business. Brussels City Center and the Grand Place are in walking distance, where frequent, regularly serviced trams are also available. Offering a prestigious business address in the business hub of brussels, this space offers a range of professional services which provide the ideal support for new start-up businesses. Whether you are a single entrepreneur or have a team, services range from taxation services, financial consultations, pay roll services and much more. Membership includes access to on-site meeting rooms which are available for your convenience. The meeting spaces are great for arranging face-to-face meeting with your clients, colleagues and customers. The space is easily accessible via car and public transport, and found in a brilliantly central location. This prestigious business centre shares one of the tallest towers in Brussels with a number of companies from industries that include professional services, finance and banking. On one of the most affluent streets in the city, King"s Garden is just outside the door. Inside, you can make full use of an attractive meeting room and a supportive administrative team on site to help your business operate efficiently. This impressive workspace can be found right at the heart of Brussels, close to many art galleries, museums, cinemas and historical landmarks. The space is highly accessible from major road links as well as public transport connections. These furnished or unfurnished offices provide 24 hour access, admin support, meeting rooms, ultra fast broadband, Wi-Fi, and secure car parking for your convenience. Found right in the city centre of Brussels this business centre combines old and new to create a unique and innovative interior, with stunning office solutions and bespoke packages. You are guaranteed to find something that meets your business needs in this complex. Workspaces benefit from excellent facilities including showers, postal services and refreshments to keep you energised. There is also access to affordable meeting rooms and social space which can be used flexibly for events. The centre is easily accessed with public transport links right on your doorstep. Positioned alongside modern restaurants and retailers, this internationally renowned business centre is found at the heart of the EU district in Brussels and as such is surrounded by global companies and embassies. With fully furnished, open-plan office spaces, this adaptable workspace ensures you can operate exactly to your desires. There is parking available, alongside a good selection of restaurants close by. Offering beautiful and spacious offices in the heart of Anderlecht just outside of Brussels, this business centre allows you to benefit from a prestigious business address whilst working comfortably and professionally. The terms are flexible and the rates are affordable, with spaces coming fully furnished and ready to use. The centre is served by a range of public transport options including buses and access by car is as easy as it can be. These serviced offices are furnished and offer companies a friendly and professional environment in which to do business. 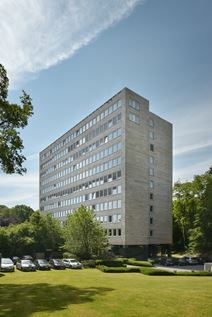 Situated in the business district close to Montgomery Square the centre is conveniently close to the centre of Brussels. The centre is accessible 24/7, allowing you to work through late hours for however long you please; and there is IT support provided so that you stay well connected. Managed by the owners of this beautiful 1927 townhouse since 2006, this business centre is one of the hidden gems of the Brussels office market. 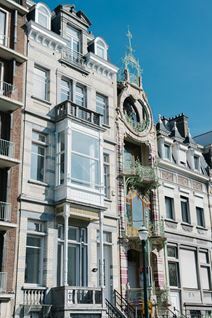 Located on the prestigious Boulevard St Michel in Etterbeek every office has unique features such as a chimney, private terrace, wooden floors and marble details. Friendly and experienced team, three high-end equipped meeting rooms, showers, a nap room and surprise catering are at your disposal. Found just a stones throw away from Brussels National Airport, this business centre is found in a prime, high class location. Offices are beautifully designed and decorated to boost your productivity and inspiration. The membership is flexible and affordable, whether you are looking to rent an office for just a day or a year. The centre is easily accessed with major roads nearby and public transport links. This excellent business centre occupies the sixth floor of a modern building on the outskirts of Brussels. This is a popular area for business, highly accessible and ideal for a range of company types. It is highly accommodating, with IT support, comfort cooling, beverages, on site parking and more. There are lots of local transport links within reach, including la Gare du Nord, just 10 minutes away. This impressive centre offers spacious, fully furnished and equipped offices. There is a reception on the ground floor and further optional services include: administrative support and a virtual office. Accessible 24-hours a day, this centre is an ideal location for employees liaising with overseas clients. Other services include secure parking, conferencing facilities and a multilingual support team. Additionally, this office-space is very well located in walking distance from the European Headquarters, as well as an abundance of local amenities including restaurants, bars and hotels. Brussels park is also a short walk away. This centre provides not only a professional workspace but also an open, dynamic and pleasant atmosphere simply to relax or brainstorm. The office spaces enjoy a beautiful, welcoming reception area, state-of-the-art meeting rooms, a business lounge, restaurant facilities, underground parking and even a garden. Next to the offices, the Crowne Plaza hotel, offers the ideal place for your guests to stay. In the immediate are of the European Community, NATO, these four buildings surround a peaceful garden and provide a range of furnished office space that benefit from high-quality interior design. All offices will be fully furnished with the most modern topnotch interior design and furniture. A lounge-like reception space, free Wi-Fi, large meeting room, fully equipped kitchenette with refrigerator, Nespresso-coffee machine, and dishwasher. All you really need to perform well in a nice office environment. Offices are available for one person, or team rooms for two, four or more coworkers. Offering stunning and modern work spaces in the heart of the European Quarter of Brussels, this business space provides an excellent and affordable environment for professionals in a great neighbourhood. The building offers a range of fully furnished offices including private offices, dedicated desks and coworking desks. A range of services are offered for your convenience including mail services, reception services, secretarial support and printing facilities. This brand new business centre offers a wide range of offices modernly furnished and equipped with state-of-the-art technology systems to offer you a highly efficient and professional working environment. These offices benefit from highly professional support staff and multi-lingual reception services. Just off Brussels city centre, the centre is easily accessible and well served by public transport. This is a superb location, highly accessible by all forms of transport, and its proximity to the airport makes this centre suitable for those who conduct business on the move. This is a new serviced office centre offering a wide array of workspace options, as well as the latest in hi-tech infrastructure. The energy and ambiance of this wonderful space creates a comfortable and stimulating working environment. Your office would be fully serviced with a full range of office furniture that can be personalised to suit your working style. Customised lighting, heating and air conditioning are also provided and the offices are refreshed with clean air on a daily basis. The office centre also offers easy access to the E40 and E19 roads allowing for efficient travel into Brussels City or for further travel throughout Belgium or Europe. This officespace destination is perfect for companies anticipating international clients. Located within Brussels Airport (Zavantem) this centre is ideally located for domestic and international travel. The offices are bright and airy, parking available just 15m from the building and a green area just outside to enjoy lunch. Not to mention that the maintenance and the updates for all those facilities are included in the price. For independents, this centre offers a higher quality workspace than a small stand-alone or home office. For companies, they offer the opportunity to have a headquarters and several satellite offices. This centre is close to the historic centre of Brussels, and just moments from the local metro stop. The centre occupies two floors of this modern building, with a range of office solutions to suit your needs. All major banks and major financial institutions have offices in the city, so you will be rubbing shoulders with impressive companies to establish a prestigious presence. Here, there is IT support, conference and videoconferencing facilities, and 24-hour access. More than 1,300m² with 21 offices are available at this centre. Fully dressed with great quality of furniture creating a real harmony in your daily and professional life. All offices are equipped with air-conditioning and free Wi-Fi. And just like at home: Kitchenettes are at your disposal, including microwaves, fridge, coffee, tea and water facilities. The four meeting rooms are created with professional audio and video equipment. The completely furnished offices are located in a busy industrial area 20 minutes from the center of Brussels. Surrounded by fantastic local amenities the business center provides a cost-effective solution for those that don"t want to pay city center rates. The center is surrounded by fantastic amenities such as cafes, restaurants, banks and hotels, all within walking distance of the center. Furthermore there is a train station just 10 minutes away, enabling you to travel all around Europe with ease. Serviced offices providing clients with a multilingual team of staff and a range of facilities including: underground parking, a videoconferencing system and impressive meeting rooms. The centre is well located close to Leopold Quarter; a political hub in amongst the European institutions. These offices are of a high standard and provide a modern and professional environment for companies to do business. This is the perfect workspace solution for businesses that value accessibility, convenience and practicality. Located in the Leopold Quarter, which is the city's main business and financial district and home to the EU headquarters, this centre offers a high profile address for large and small companies to do business. The variety of offices are fitted with the latest technologies and clients can benefit from beautiful meeting rooms, a lounge area, a sandwich service, lifts and a videoconferencing studio. With administrative support, your company is sure to run as efficiently as possible. A selection of modern offices is available to let in the heart of Brussels’ financial district, surrounded by leading companies, famous institutions, landmark buildings and numerous amenities. These offices benefit from a very convenient business location, which will definitely enhance the image of your company and will offer you a highly professional working environment. There are conference facilities, high speed internet, reception services and spectacular views. A flexible package of offices and meeting rooms to rent in a recently renovated building between the Gare du Midi, Brussels airport and the major European institutions. The impressive exterior and interior provides high quality facilities and services according to customer requirements. Your business can benefit from this centre's administration support and IT support on-site. Just a short drive away, there is the Musée bruxellois du Moulin et de l'Alimentation. Strategically located on the border of the EU area these offices are built in a charming mansion that has been perfectly renovated to meet professional standards. Aside from the garden where businesses are able to host receptions other advantages include the full business support services. This prestigious area of Brussels provides direct access to the EU Institutions and main motorways. Nearby, there is an abundance of restaurants, cafes, parks and gardens to explore and enjoy outside of work. Found in the southern area of Brussels, this modern space offers a creative location for professionals, entrepreneurs and creatives. With flexible and affordable membership options, your business space can be as agile as your business. Offices are beautifully furnished and fully equipped, with ergonomic furniture and high speed internet. The centre is easily reached with public transport options right on your doorstep. Found in the southern part of Brussels, this contemporary and creative business space offers a great range of offices including coworking areas, conferencing facilities and lounges. Offices are bright and spacious, well furnished and benefit from high speed internet to keep you well connected. With 24 hour access you can choose your own working hours. The centre is easily accessible using public transport. This business centre has all you need to work at your best, whether it’s with others in collaborative co-working space, alone in a private office rental or planning your next business move over a coffee in a stylish conference room in Brussels. The building is accessible 24 hours a day, so is well suited for any kind of working hours. It is also a few kilometres to the city’s major motorways and the Ring of Brussels so if travelling by car is more for you its a smooth journey, but if you prefer to cycle, there’s a bike rental station right outside the building. Opening in September of 2019, this modern business location provides much more than a modern and professional place to work. Entrepreneurs can join a thriving business community, at an affordable all-inclusive rate which provides great services and amenities such as 24 hour access, cleaning services, high speed internet, printing facilities and more. The city centre of Brussels can be quickly reached using the metro or buses. A charming mansion in "Pierre de France" in the heart of the EU area of Brussels. This ideal location allows for employees to maintain relationships and visit clients around the city with ease. This building offers 8 offices, a spacious meeting room and a fully furnished apartment with high quality technological facilities. Its strategic location provides easy access to transport routes and there are a choice of shops and restaurants in the area. Two charmingly renovated mansions offering traditional office leases with flexible service options for clients. Alongside the beautiful interiors the centre also has a garden providing a relaxing and welcoming environment for clients and their guests. 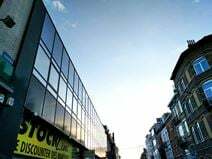 Located in the heart of the EU area near all of the EU institutions the centre is easily accessed and benefits from a choice of shops and business restaurants. This centre in the heart of Brussels is close to the central station, the royal palace and European Parliament. The building it is the perfect synergy of historic architecture and modern amenities which include: underground parking, 24 hour CCTV monitoring, a cyber café, an on-site lunch restaurant and disabled facilities. It features an attractive business lounge, as well as conference facilities to allow you to convene meetings and training seminars in wonderful settings. With bright, spacious and modern office spaces located in the heart of Brussels, this business centre is ideal for professionals, freelancers and entrepreneurs. You can enjoy a range of facilities and in-house services whilst working in a contemporary and refreshing environment. A dedicated and professionally trained support team is available on-site. An extra charge the centre can also arrange catering, hosting and much more. This sophisticated centre houses over 80 plug & play services offices, furnished to a high standard. Its features include high speed internet, smart cards that allow 24 hour access, quality security systems and CCTV, videoconferencing; air conditioning and soundproofed walls, a staffed reception and sophisticated telephone services. The facility offers virtual and shared offices too. Each of the 6 floors has a kitchen area. Located in Brussels' European district, it's also in close proximity to motorway links. Nearby metro stations and railway links mean that the centre is very easily accessible. This brand new business centre is opening soon in the heart of Brussels. The centre benefits from excellent public transport links and local amenities, as well as amenities within the centre such as an on-site bar, restaurant, parking, dry cleaning service and shoe repair service. Offices come beautifully furnished and you can benefit from a prestigious business address using virtual office options. This turnkey solution benefits from an abundance of local amenities within proximity. The interior facilities will enhance your business, providing reception services with mail handling and telephone answering, as well as 24-hour access and IT support. There are conference facilities and meeting rooms available for collaborative projects. The surrounding area has lots of eateries and transport links. An impressive business centre in Brussels, providing furnished office-spaces available to let on flexible terms. Amenities include; spacious meeting rooms, conferencing facilities, reception area and high-speed internet. The centre is also accessible 24-hours a day, which caters for all working needs. In addition, the local area is dynamic and filled with local amenities including restaurants, retailers, and a host of commercial entities. Transport links are numerous as well, providing easy travel around the city and wider regions. This beautiful building has been renovated to provide a 6 floor office building and the perfect working environment. It offers 5 communicating offices and a large reception area on the ground floor with multilingual administrative support. Well located in a business area that looks onto the new EU building for Education and Culture in the Madou Tower. The site has fantastic links for public transportation. An impressive centre situated in the business district of Brussels, providing offices with great facilities including spacious meeting rooms, conferencing facilities, business lounge access and reception area. Here, tenants can also make use of the 24-hour access, allowing work to be conducted at suitable hours for individuals. The are is also home to several amenities including plenty of local restaurants, bars, cafes and retailers. Public transport connections circulate regularly as well. These serviced offices are spread over 2,488m² of space in this tower in the heart of Sablon. The immediate area is abundant in public interest hotspots that you can explore and enjoy outside of work. There centre provides state-of-the-art technology, breakout areas and meeting rooms and is only a five-minute walk from the train station and 20 minutes from the airport. This business centre will be staffed by first-class centre representatives offering award-winning customer service, enabling your company to run as efficiently as possible throughout its occupancy. Offering modern and prestigious offices in the heart of Brussels, at Square Ambiorix, this business centre offers beautifully decorated work spaces with contemporary Danish furniture. A professionally trained team are available to support you on-site and provide reception services. As well as access to meeting rooms on-site, catering can be organised at an additional fee, including hosting services out of hours. The area is easily accessible from various parts of the city, using public transport options nearby. Housed in a strikingly modern glass building, these offices are well located in the midst of the 'Quartier Léopold'. This area is an important Business district just 2 minutes from the European Parliament and 4 minutes’ from the European Commission. The building provides the highest quality office space with direct transport links to Brussels city centre. You can work through late hours and enjoy IT support for the shared internet provided. Competitive prices and compressed fixed costs ensure that this centre is the best you can get. A kitchen is available to make your lunch times, tea and coffee breaks more convenient. Beautifully designed waiting areas are here to impress your business guests, or to serve as a lounge area. On the Square de Meeûs this building's location combines charm and serenity with a central location on the main road between the royal palace and the European parliament. The prestigious location is close to public transportation links and provides access to the inner ring road and Belgium's motorway system. 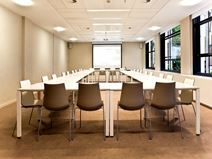 Prominently located in the heart of the Belgian capital, this serviced office is well connected and close to a number of tourist attractions. The centre offers fully equipped and fully furnished serviced offices at competitive rates to suit your business needs. Modern, high-quality offices in the perfect location for your business; especially for those that value accessibility, practicality and convenience. Within easy reach of Brussels city centre these modern offices are housed in the new terminal building at Brussels International airport. The centre offers excellent meeting and conference facilities with relaxation areas and refreshment services. Its prominent location guarantees excellent transport links just outside the building. Several hotels are located nearby the centre, with unlimited high speed internet to keep you connected at all times.